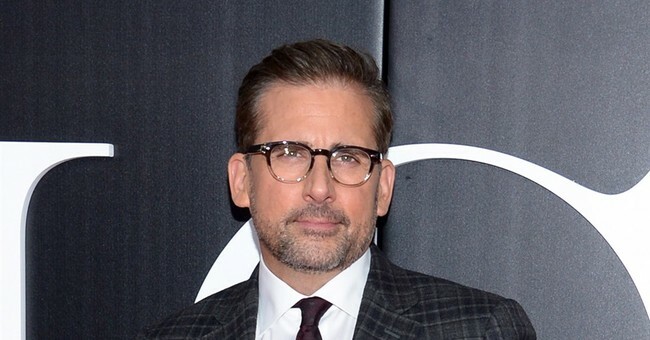 Steve Carell is teaming up with "The Office" co-creator Greg Daniels for a new show on Netflix. The series is being described as a parody of President Trump's newly announced sixth branch of the military, the Space Force. Netflix released the teaser last week. "This is the story of the men and women who have to figure it out." That's not exactly how the White House described it when Trump first introduced the Space Force. "To safeguard American dominance in space, President Donald J. Trump is working to form a Space Force as a sixth branch of the Armed Forces," the press release read. To achieve that goal, the space force will be tasked with improving space traffic management, unleashing the power of America’s commercial space enterprise, and reorienting our space program toward human exploration of deep space, the White House explained. Vice President Mike Pence said the administration hopes to launch the space force by 2020. But, they'll need Congress's help. Carell's new show is intended to lampoon the Space Force, but, as you can see, the administration is very serious about it. This is hardly the first time Trump has inspired Hollywood script writers. The writing team at "Saturday Night Live" has had a field day writing for Alec Baldwin's Trump, who lately has made an appearance almost every weekend. Late night talk show hosts like Stephen Colbert and Seth Meyers have also borrowed plenty of material from the White House for their monologues. They especially had fun with the president's decision to serve a fast food buffet for the NCAA champions the Clemson Tigers. Fans of "The Office" were perhaps excited to see Carell and Daniels working together again. But, as some TV experts noted, this may be the closest fans will ever get to an actual "Office" reboot.